Stevenage’s new MP has pledged to support muscle disease patients and help them secure better health services. 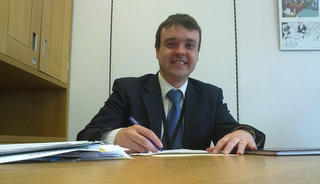 Conservative MP Stephen McPartland signed up to the Muscular Dystrophy Campaign’s Manifesto for Muscle in the lead up to the election on 6 May, promising backing for constituents with muscle disease in their fight for better healthcare services if elected. 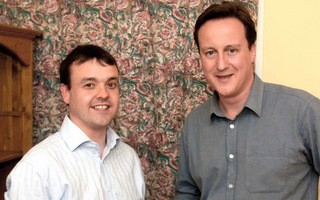 Stephen McPartland MP will be a vital link for local patients and families by raising awareness of muscle-wasting conditions and putting pressure on the NHS to improve health services. Stephen held his first surgery since being elected as Member of Parliament for Stevenage earlier in May. His surgeries will be held at the CVS in Stevenage town centre. Stephen said, "I am very pleased to have a place on the Science and Technology Select Committee as I believe the topics covered and issues addressed by this committee are of key importance to our economic recovery. 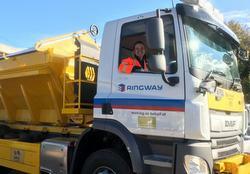 The work is highly relevant to my constituency as there are many employers in Stevenage involved in high-technology. I will continue to raise the profile of Stevenage nationally and work to maintain and increase local jobs in these industries." Nigel Fine, CEO of The IET, which is based in Stevenage, added, "I am delighted that Stephen McPartland MP has joined this important committee at a time when the contribution that science and engineering can make to economic prosperity and quality of life in the UK has never been greater." The King Pin pub on Archer Road is being threatened with closure by Stevenage Borough Council who bought it in December. Local residents are fighting to keep the pub open and have already collected 418 signatures for a petition. MPs and e-skills UK have launched the fifth year of the Make IT Happy competition, a UK-wide technology challenge for primary school students aged 9 to 11, and MP Stephen McPartland is raising awareness locally. Stephen McPartland MP is urging constituents who overpaid for gas supply from npower in 2007 to take advantage of their refund and get their share of more than £20 million still unclaimed.